Even if your income is irregular, it is possible to create a budget. These simple steps show you how to budget with a fluctuating income. 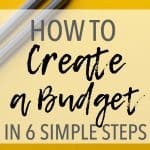 I recently wrote about basic budgeting for the busy mom. Those tips for creating a zero-sum budget work really well for most people. But one of the more common excuses I’ve heard in regards to budgeting is, “I can’t do a monthly budget because my income is different every month.” I get it, I really do. For the first several years of our marriage, my husband had an irregular income. It varied pretty significantly from month to month, which required a change in how we approached our monthly budget. 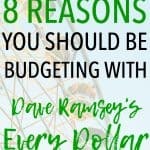 Ever since discovering Dave Ramsey’s Financial Peace University and determining to get out of debt, my husband and I create a monthly budget as part of our normal routine. 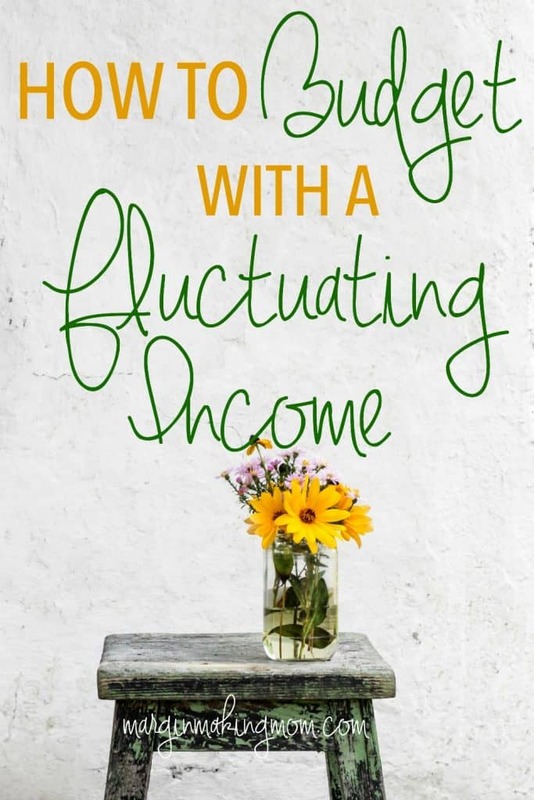 I’m going to walk you through the very basic steps of how to budget with a fluctuating income. Many individuals and families earn an income that fluctuates from month to month. Many times, this includes individuals who are self-employed or work in a commission-based business. Other times, this may include employees who are paid a set hourly rate, but whose hours are not guaranteed to be the same from week to week. 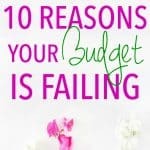 Whatever the reason, know that it is possible to have a budget that suits your unique situation. Simply follow the easy steps below to get started! Sign up here to receive a FREE Irregular Income Budget printable. Using the Irregular Income Budget printable, list your monthly expenses in order of importance. Consider the question, “If I only had enough money to pay one thing, which one thing would I pay first?” That should be at the top of your list. 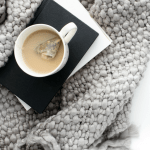 Then ask yourself, “If I only had enough money to pay one more thing, which thing would I pay next?” In this post, I discuss the most important items on your budget that should be taken care of before anything else. That same principle applies here, too. You should not list credit cards or other debts as a top priority above food, shelter, clothing, and transportation. Continue down the list, writing all of your expenses according to their priority. You should still include giving and saving on this list. In order to have a complete list of your financial obligations, it’s important to organize your bills, which I discuss in detail here. As you get paid during the month, use your money to pay for the items on your list, starting at the top and moving your way down. Pay the most important things first, as you get paid. Once you have spent your money, you are done until you get paid again. It’s important to note here that you should remain vigilant in discerning what is really the most important. It’s easy for things to “seem” important that really aren’t. Something may come up that you really want to do or buy, but if it is not at the top of your list, you can’t spend money on it until you have taken care of the higher-priority items. That’s it! Pretty simple, isn’t it? If you are a dual-income family, with one income that is fixed and one income that is irregular, you may opt to create a regular Monthly Budget based on the fixed income and create an Irregular Income Budget based on the fluctuating income. In this case, your highest priority items can be included on the regular Monthly Budget, with lower-priority items listed on the Irregular Income Budget. This is what my husband and I did. As you can see, the process for budgeting with an irregular income is a little different, but actually quite simple. Keep in mind that it may take a few months to really get the hang of things, just as it does with the regular monthly budget process. Creating a budget for a fluctuating income will ensure that you take care of the most important things every month and will help you to have a plan for your money. Do you have an irregular income? What type of budgeting method have you used? When your income is irregular, a cash envelope budget can be SO helpful. Do you need help getting started with a cash envelope budget system? My husband and I used this method for years, and it was hugely foundational for how we view and handle money. But when I first started, I had so many questions…”How often should I go to the bank? Which categories should I use cash for? How do I handle the checkout line?” and more! 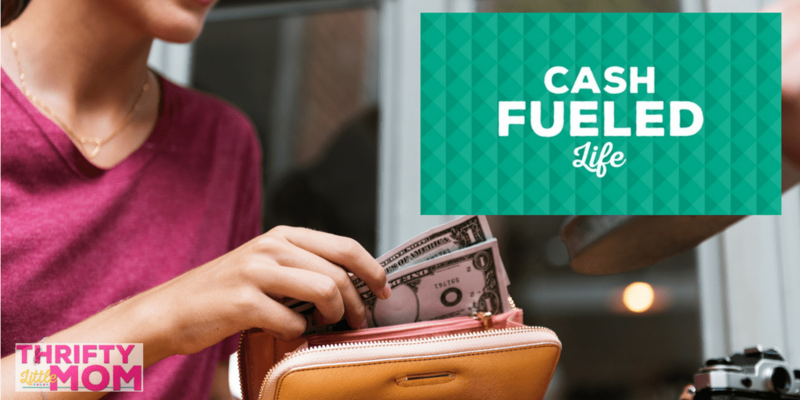 If the thought of a cash envelope budget sounds overwhelming to you, I highly recommend that you click here and check out Cash Fueled Life, which offers you straightforward solutions and holds your hand through the process of setting up your own cash budget. It has all of the information in it that I wish I’d had when I first got started. Click on the image below to check it out! Hello, fellow blogger and friend! On the first of each month, I do a special round-up called #(Month)25 where I share the best of other people’s content with my followers. I share five posts from each of these categories: Christian, kids/motherhood, relationships, money, and miscellaneous. I just wanted to let you know that this blog post was featured in my #May25 Roundup. Hooray!